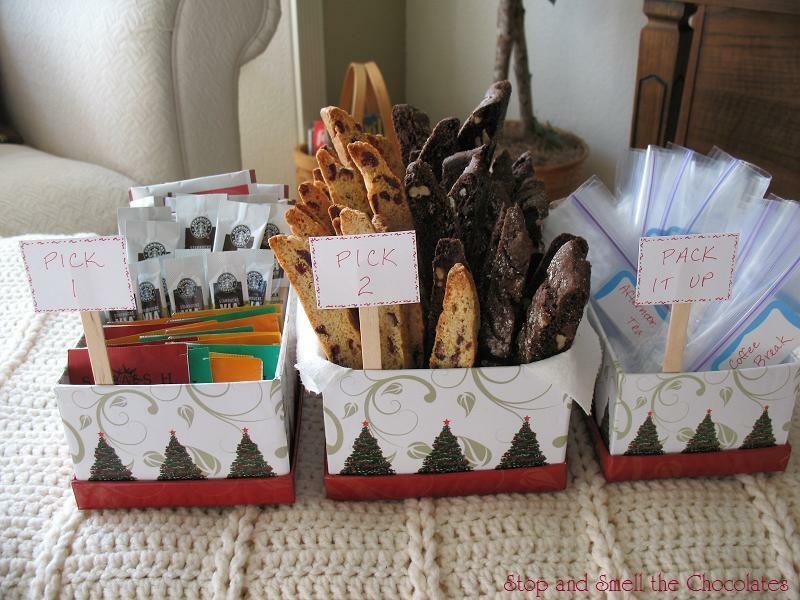 Another last-minute homemade gift idea today! If you're looking for a homemade gift for a group of people - like in an office - you might like this idea! I put it together last week to share with the staff at our Christian school and they loved it! I found 3 boxes of the same design but different sizes at Dollar Tree, but you could use tins or baskets too. You could also combine this into one big basket. 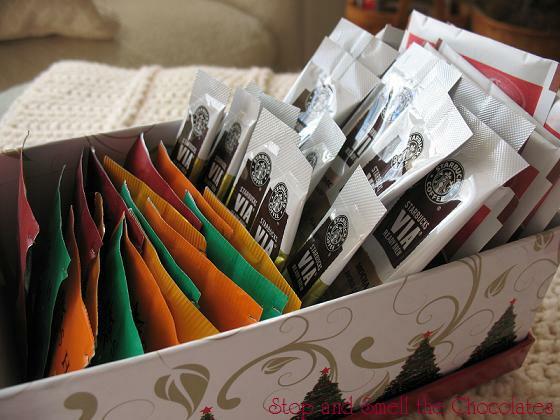 In the first box I put a variety of hot chocolate packets, Starbucks Via instant coffee packets, and different tea bags. You could add in packets of hot cider too. I added a little sign that said "Pick 1." 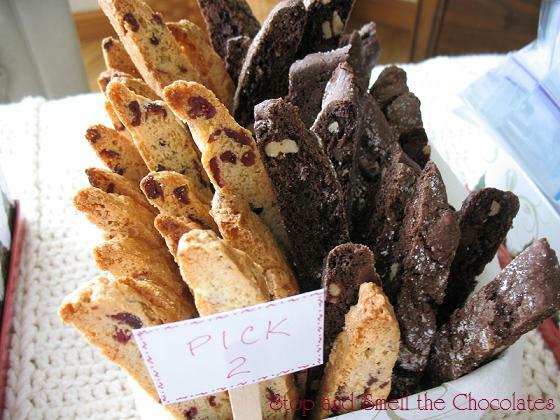 In the second box I put two different kinds of homemade biscotti - Dried Cranberry Biscotti and Double Chocolate Walnut Biscotti. You could fill this one with any homemade goodies! I added a sign that said "Pick 2" and made sure I included enough for 2 for each staff member. In the third box I put enough snack size baggies for everybody. 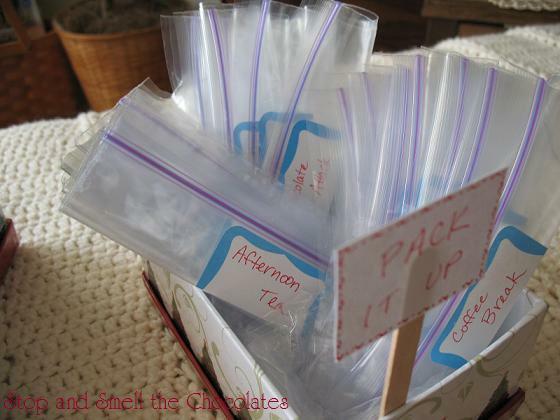 I labeled some "Coffee Break" and some "Afternoon Tea" and a few "Chocolate Attack." :) Cute labels printed off the computer would be the way to go, but I didn't have time and what you see is actually cut up name tag stickers - LOL! I put in a sign that said "Pack it up" so each person could take their coffee break with them. This was actually quite thrifty and fun to put together! Do you know a group of people who would enjoy this? The great thing is that you can do this any time of year as a special treat - not just Christmas! 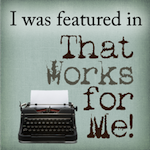 ~ WFMW at We Are THAT Family. 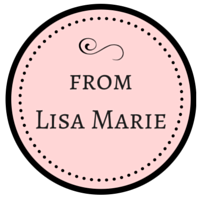 ~ Chic & Crafty at The Frugal Girls. 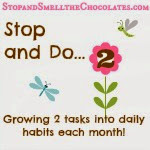 ~ I'm Lovin' It at TidyMom. Superb idea my friend. I bet they loved that! Now I'm sitting here trying to figure out if I know a group of people. LOL! Big I need to find out where the next flash mob is and come prepared size hugs to you! Lisa, the LOLs (lovely office ladies) and staff all really enjoyed your treats and were very appreciative of your thoughtfulness. Thanks so much, dear friend. Super cute idea. You are so clever. Very cute and quick idea. Would work great for big or small groups and you could pick any number of themes to decorate it with.